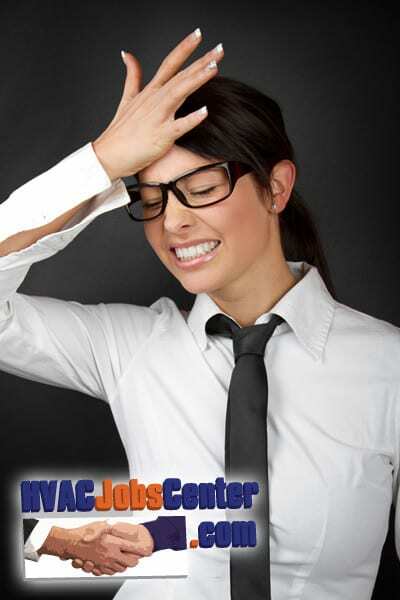 HVAC recruiters sometimes do make mistakes during the hiring process. In fact most employers make mistakes. No one is always on when it comes to figuring out the bad candidates and those who will work the best for them. Sometimes a gem in the rough can be overlooked. It is important that you learn from these common mistakes. If you struggle to find the top producers giving you the best work in HVAC for a company or you have made bad hires, then keep reading. You will find out why you have had to de-hire people, see too much turnover, or find those who stay are not as advertised. The biggest mistake you can make is not planning. If you try to wing an interview or go in without a plan then you will find it is harder to locate a great employee. Spend 5 to 7 minutes with a phone screening, 30 minutes on a phone interview, and then interview the top 5 candidates in person. Make sure they go through assessments, tests, and then set up a second interview. The next biggest mistake is not using all these interview options. You definitely need to have an initial screening with a longer interview if you hope to reduce the amount of time you waste on in person interviews. You cannot stop with just one interview in person. In fact you should make the person speak in a group for the first interview in person. This can make the person more uncomfortable and therefore you can associate better answers with the right people. You next need to have the assessments and tests. Many recruiters avoid this part and just send the candidate to the employer looking for an HVAC employee. You should always have the tests done and assess the person to ensure they are right. If all of these interview processes are passed then it is time for the second interview. This is the interview with the actual employer and you. You can share details about the job, compensation and make the potential person understand you are going to make a hiring decision soon. The last mistake many recruiters make is not going into job, compensation, and final interview processes with the candidate. A candidate who is not confident about the interview because none of the details are shared may decide to take another job they are interviewing for. The biggest mistake is going through the entire process and not assuring the candidate you are fairly certain they will get the job. Other recruiters and employers are probably looking at this person too, especially if competition is stiff in your area. Rather than let a good employee get away make certain that you have everything planned, take the time, and assure the person they are on the short list. Let them know that they will hear from you either if they get the job or do not, so that the employee knows what to expect going forward in their job search. If you’re an employer looking for a recruiter to help you find and hire good employees, check out our list of recruiters specialized in mechanical engineering, HVACR and plumbing.